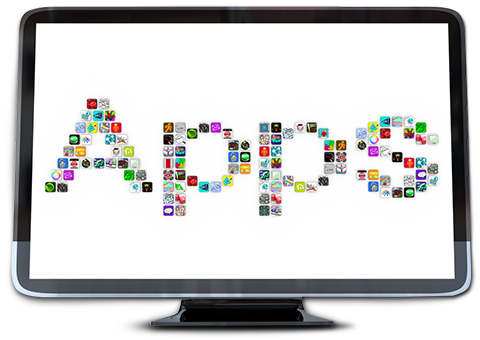 AppFlinger is a full solution for aggregation, monetization and delivery of TV apps (based on HTML5) to set-top boxes and smart TVs. AppFlinger utilizes the cloud for running the HTML5 TV apps and delivers them as a video stream to target devices with unprecedented quality and responsiveness. With AppFlinger pay TV operators can become the destination of choice for TV apps, eliminating the need for competing connected TV devices. AppFinger is turning the OTT world from a threat to a value add, allowing pay TV operators to offer a unified and integrated experience across all sources of content. AppFinger enables new revenue streams from OTT App transactions, subscription, ads, In-app purchases, and Commerce. Works on any device (including legacy STBs) over IP (managed or public) and QAM. Fast and simple integration with target devices - basically as simple as adding a VOD channel. Support Advanced HTML5 apps and UIs for entire subscriber base and without hardware investments. Running the HTML5 browser in the cloud isolates target devices from security threats and from misbehaved code, thus providing the necessary environment for 3rd party apps to run on STBs and smart TVs. Ultra low latency for highly responsive user experience with configurable frame rate (10-60fps). Unparalleled resource efficiency (low bandwidth and low CPU) allowing a truly cost effective cloud deployment. Optional HTML5, iOS and Android SDKs for TV app developers supporting a fully synchronized experience across screens via industry standards (DIAL, DLNA). Many high quality, high value apps available from day one (including YouTube). TVersity, the company behind AppFlinger and AirFlinger, has a track record of delivering best-of-breed solutions for MVPDs. It was established in 2005, with headquarters in New York, USA and R&D center in Tel-Aviv, Israel.